Because it never rains but pours, in the same West Hollywood Target as the SWTF sighting below, Wolverine, “Human” Torch, and the 2 repaints were also found by your’s truly. I picked up Wolverine / Rally Truck, passed for now on the Human Torch / Jet, and never looked back on repaints gray Hulk and black Spidey. Sorry for no packaged shot, I kinda shredded it in excitement already. But this stuff is out already. 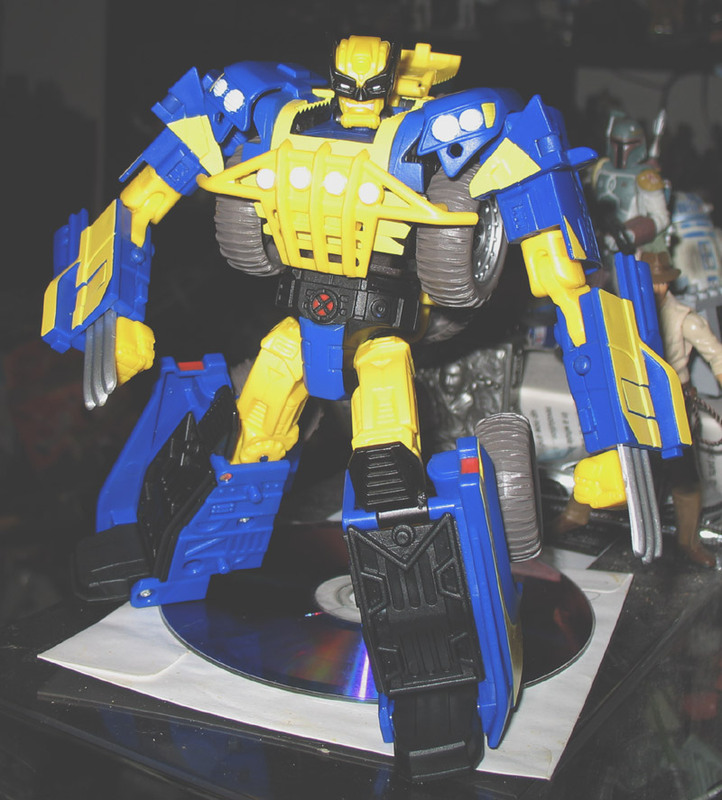 Now if we could only get more widespread releases from the main TF lines.